for $1,679,900 with 5 bedrooms and 4 full baths, 1 half bath. This home was built in 2016 on a lot size of 53 x 100. Magnificent Home - Point Pleasant Beach, Elevator, Ocean & Lake Views! Built 2016, This Beautiful Home Shows Like a Model & is ''One of A Kind' It includes 5 bedroom 4 1/2 Bath With Numerous Custom Upgrades Including a House Generator. Custom Baths Attached to Each Bedroom! 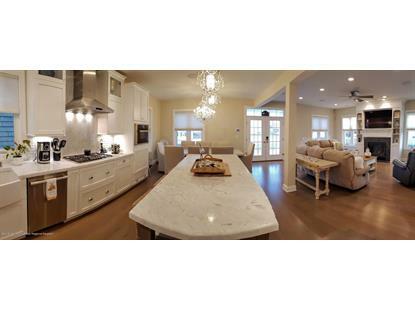 Stunning Kitchen with Large Center Island & Carrara 2 1/2 in Imported Marble. Kitchen Cabinets with 100 Year Warranty. Marble Backsplash, Steam Oven. Thermador Ovens, Beautiful Brazilian Hardwood floors, Sonos Sound System, Aprrox. 960 sq ft of Outdoor Decks/Balconies.3 Zone Heating & Air. Timberline 30 Year Roof, Vinyl Cedar Shake Siding, Hurricane Windows, Gas Fireplace with Custom Cabinets. Front Porch with Blue Stone, 2 Bonus Rooms! Enjoy Large Bonus Room with 3 Tv's & Wet Bar with Kegerator! Walk to Private Beach!